YouTube has announced plans to roll-out 100 new channels, each providing a host of exclusive, original content, as part of a massive expansion. The new channels, which will be launched in the coming months, will see 25 hours of new, original programming arrive on the video sharing portal each week. Among the dozens of partners include celebrities like Madonna, Jay-Z, Tony Hawk, Shaquille O'Neal and, unfortunately, Ashton Kutcher. While established media outlets like the Wall Street Journal, Reuters, WWE, Slate, TED, Livestrong and The Onion are also on board. You can check out the full line-up here. The new content comes after YouTube's pledge to invest $100m in original content, moving away from its traditional role as a home for previously aired or low-end homemade footage. In a post on the official YouTube blog the company says there'll be a little something for everyone, as it looks to broaden its entertainment offerings. "These channels will have something for everyone, whether you're a mom, a comedy fan, a sports nut, a music lover or a pop-culture maven. "Our goal with this channels expansion... is to bring an even broader range of entertainment to YouTube, giving you more reasons to keep coming back again and again." 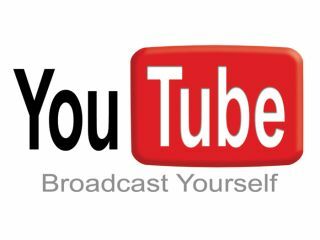 YouTube says the roll-out will begin next month, but most of the channels won't begin broadcasting until 2012.